At this step of the wizard, specify the destination user to which you want to copy your data. Restore to original user. To restore data back to the original user. Restore to the following user. 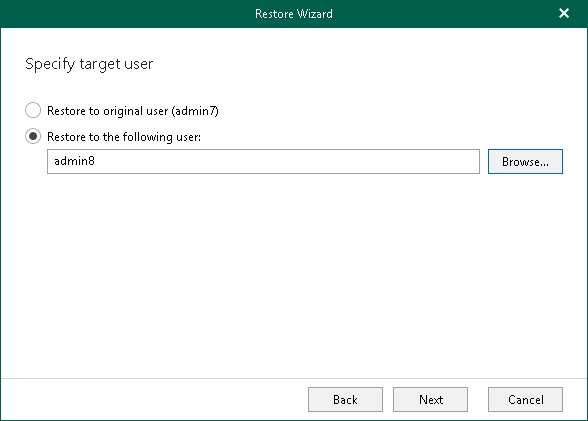 To restore data to a custom user. To select a user, click Browse.